As two of the leading MVC web frameworks for Python, Django and TurboGears allow you to develop and launch sites in a fraction of the time compared to traditional techniques and they provide greater stability, scalability, and management than alternatives. Packed with examples, this book will help you discover a new methodology for designing, coding, testing, and deploying rich web applications. A team of expert authors shows you the power of MVC frameworks and the capabilities of the TurboGears and Django packages. The Django chapters show you how to automate production of common web development tasks, portal creation, and content management, so you can focus on higher-level application issues and design. The TurboGears chapters illustrate how to rapidly create modern, highly interactive Web 2.0 applications. For both frameworks, you'll create useful applications that exemplify common Web 2.0 design paradigms and their solutions. Ultimately, you'll leverage your Python skills using Django and TurboGears and go from novice to RIA expert. 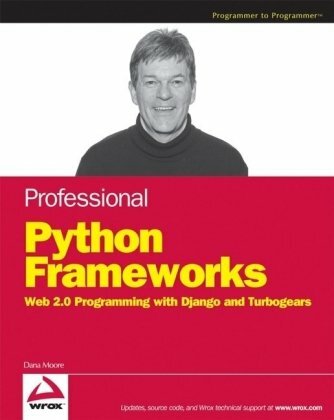 This book is for Python developers who want to learn rapid Web 2.0 development techniques using frameworks and incorporating a model-view-controller architecture.